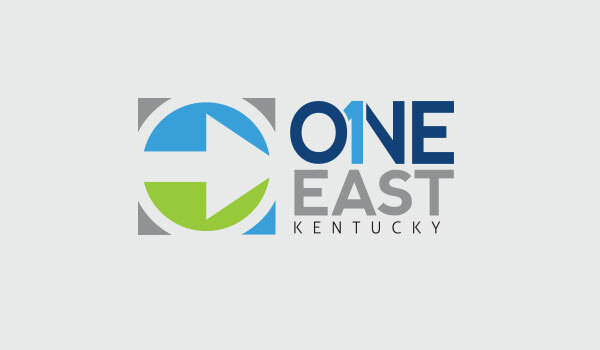 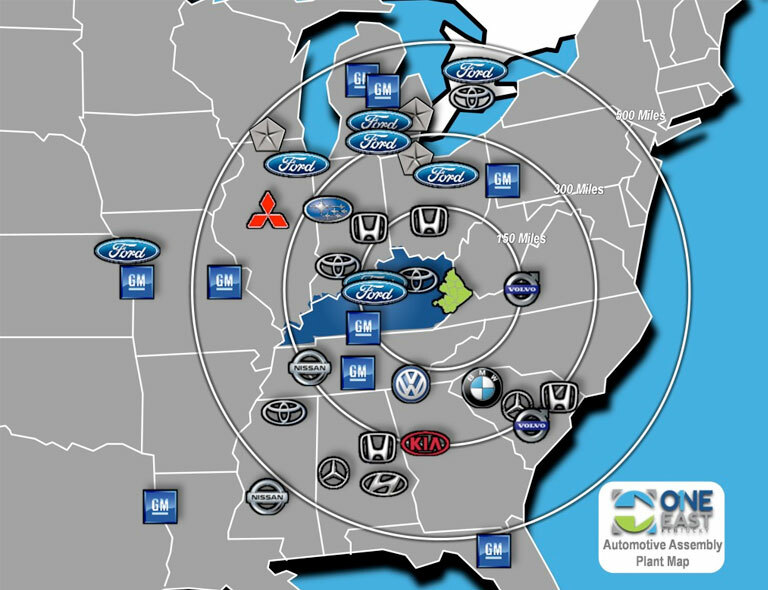 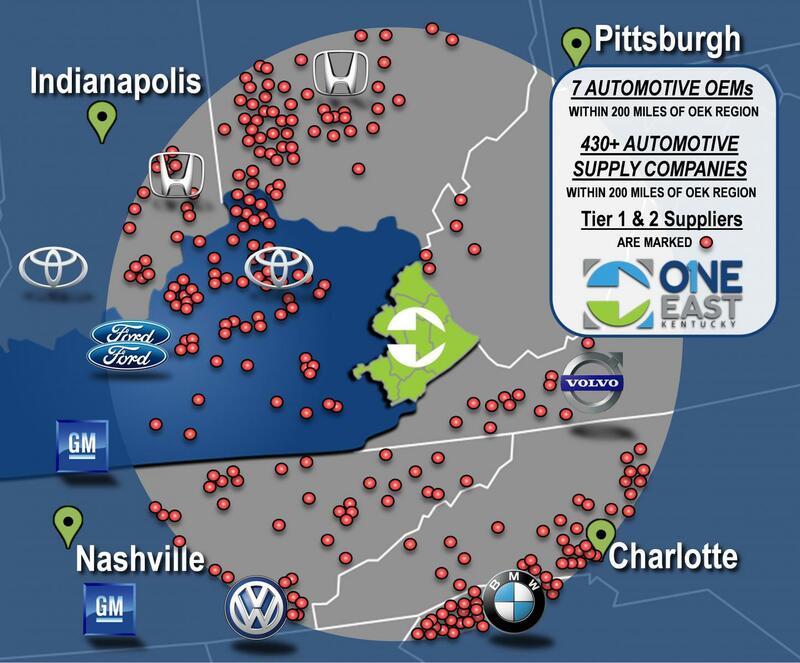 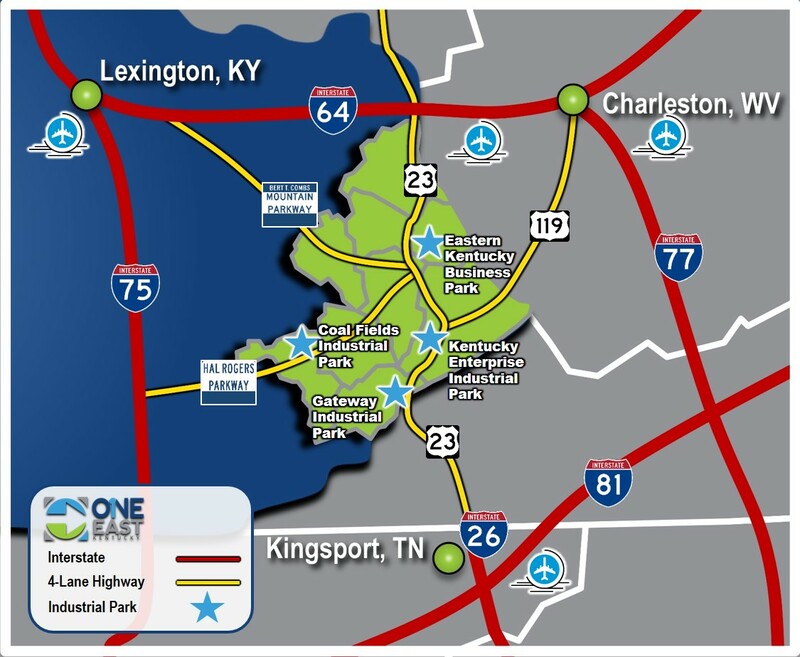 The One East Kentucky Region is centrally located to industry clusters such as Automotive and Aerospace Manufacturing. 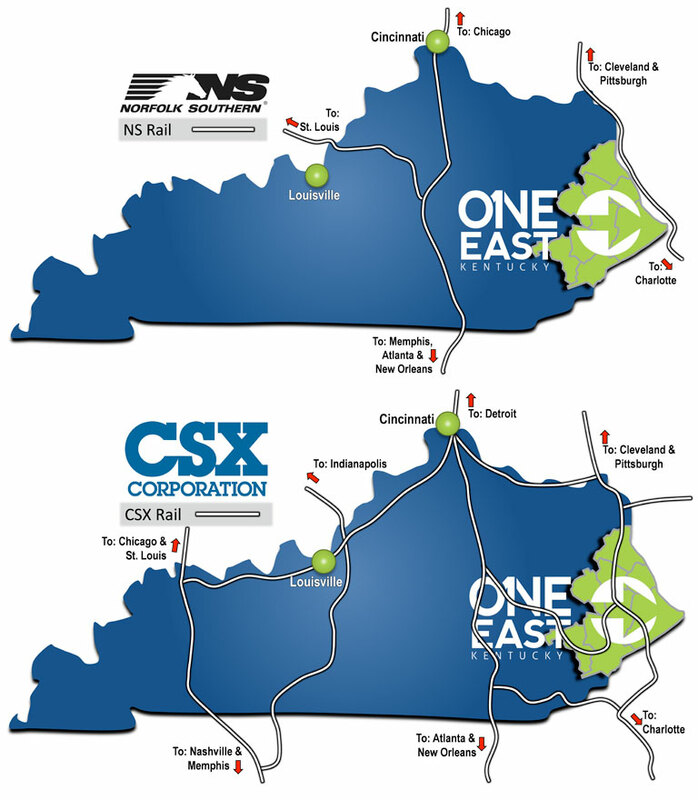 Heavy duty four lane highways and rail have been critical to the movement of coal, wood products, machinery and other goods in and out of the One East Kentucky region. 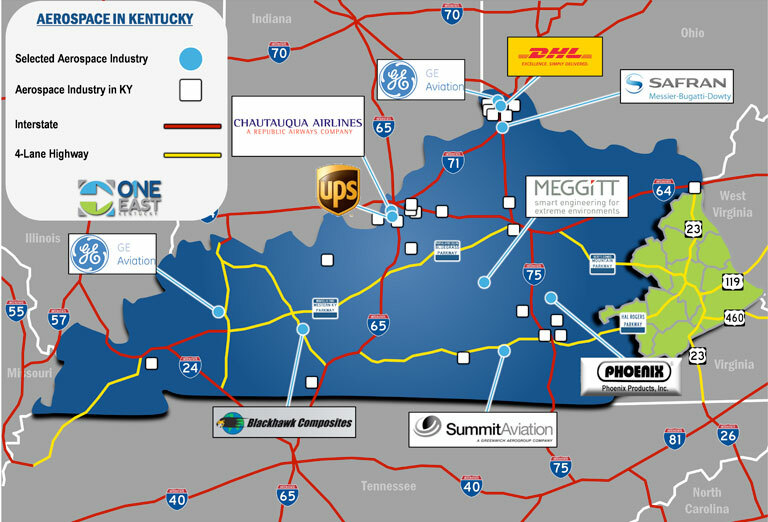 Now this infrastructure is prepared for the location of new industries, giving access to 65% of the nation's population and business within a day's drive.